According to Bryan, the best part of his career is twofold: it supports his habit of being overly curious about everything, and he gets to contribute to projects that support our military. He’s a lifelong engineer who has never done anything other than work for civil engineering firms, starting his senior year in high school. 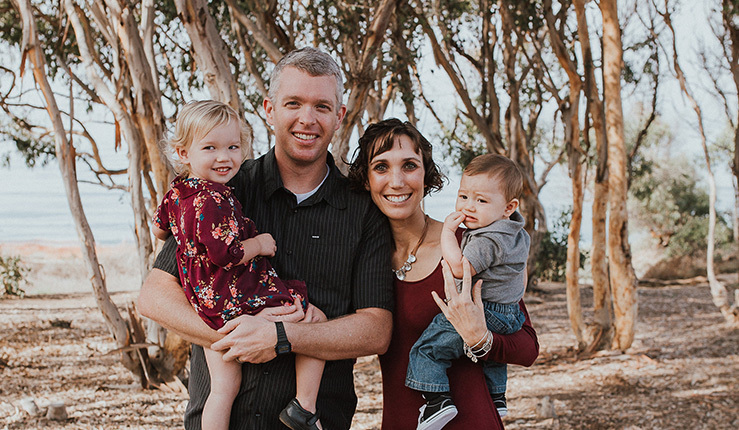 Bryan specializes in military projects, and his experience ranges from training facilities for the SEALs, to facility improvements for the incoming F-35 Joint Strike Fighter. He’s also experienced in stormwater quality management relating to the regulations, analysis, and design for compliance with the state and federal construction and municipal permits. When Bryan isn’t working on one of the million projects he has going on around the house (currently rebuilding his 1955 GMC pickup), you can find the Boise transplant from Poway, California exploring Idaho’s back-country with his wife and two kids. Why would surprise people about you? Most mornings I have to ask my wife to find my glasses because I am so blind without them that I can’t even find them on my bedside table. Favorite quote: “Don’t panic” – Douglas Adams. Best place to be when you aren’t working: Anywhere with family. Curious about: How people stay focused enough to be curious about only a few things.